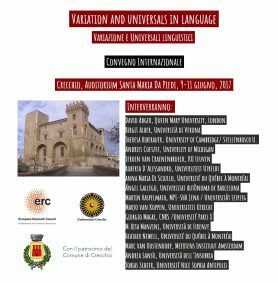 The workshop Variation and universals in language. The implications of typological evidence for formal grammar will take place in Crecchio, Abruzzo, Italy, on June 9-11. Our very Marjo van Koppen is among the invited speakers.